Thicket-forming deciduous shrub with erect or arching, prickly stems which are covered with a white bloom, making a bold show in winter. 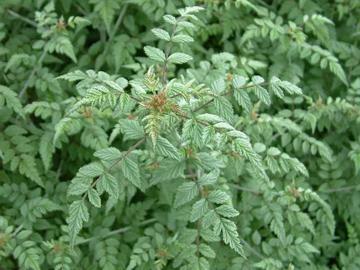 Triangular pinnate leaves with up to 13 hairy leaflets giving a greenish-white appearance. Racemes of small purple-pink flowers in summer followed by rounded black fruits. Best in reasonable fertile soil in sun or part shade. Unfussy and easy to grow. Prune hard in early spring, cutting some stems to ground level. 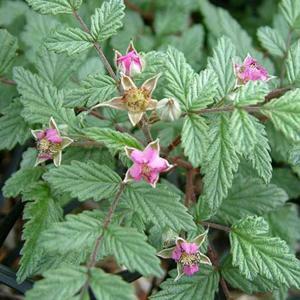 From seed, soft or hardwood cuttings or by layering. Also by separation of rooted suckers. 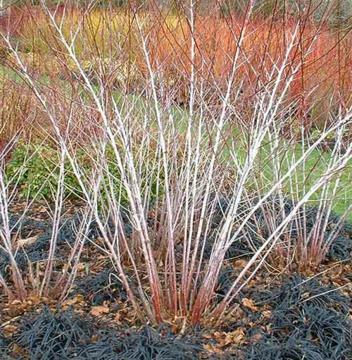 The white stems are good for winter interest, plant against a dark background.